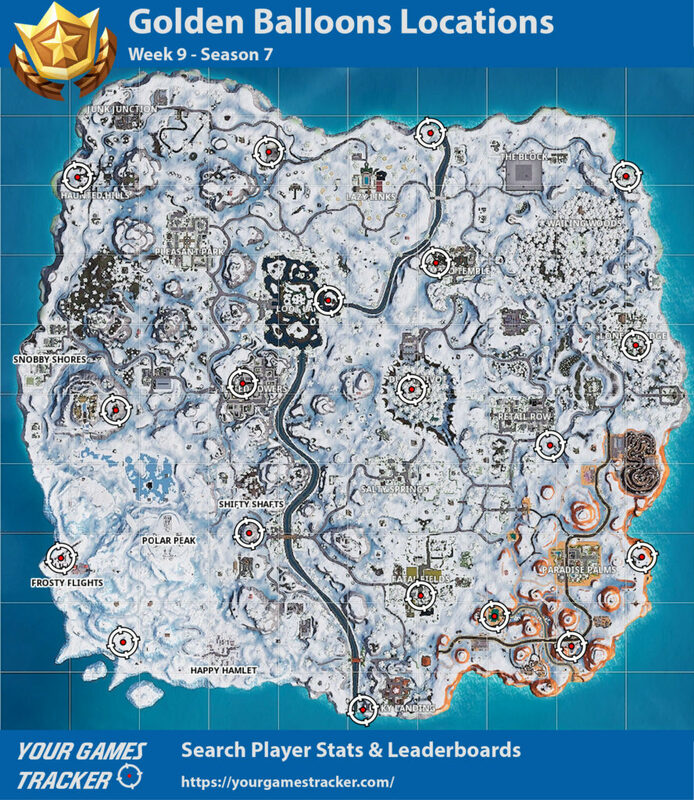 We have entered the penultimate week of the season so if you still have late challenges you better hurry up, you can see here where to find all Expedition Outpost Locations at Fortnite. One of the tasks of this week is to find and burst golden balloons, in all they are 10 that need to burst. As usual, we are here to help if they want to know where to find all the balloons are in the right place. The golden balloons are scattered all over the map, to complete this challenge of the Battle Pass need to burst 10 of them. They may find them floating in something, the tricky part of this challenge is that other players can come before you and blow them up so hurry up.